The 2017 Manufacturing and Equipment Nigeria Expo, had procurement managers, managing directors, supply chain managers and other decision makers in attendance. The keynote address taken by the President, Manufacturing Association of Nigeria, DR. Frank Udemba was focused on intensifying local manufacturing; Industry growth opportunities for the sector. The M.D Clarion Events West Africa, Mr. Dele Alimi, stated that the Expo provides manufacturers’ an opportunity to re-tool and discover technological solutions, to improve their operations and also create avenues for sourcing local and more cost effective raw materials for their operations. Ace Television Personality, Wofai Samuel, who was the only female to ask questions, mentioned that, power generation is the biggest challenge Nigeria’s manufacturing industry is saddled with. She questioned what models the Ministry of Power have currently put in place, to ensure stability, ease and reduce cost of operating the sector before 2020, going against the back drop that, the manufacturing industry of Nigeria, should not be where it is now, in 2017. She went further stating that, nothing meaningful can be achieved in the sector if the power generation and distribution isn’t upgraded to the best possible standard. Wofai further questioned how formidable the synergy between the Ministry of Science and Technology, the Ministry of Power, and the Ministry of Trade and Investment is. 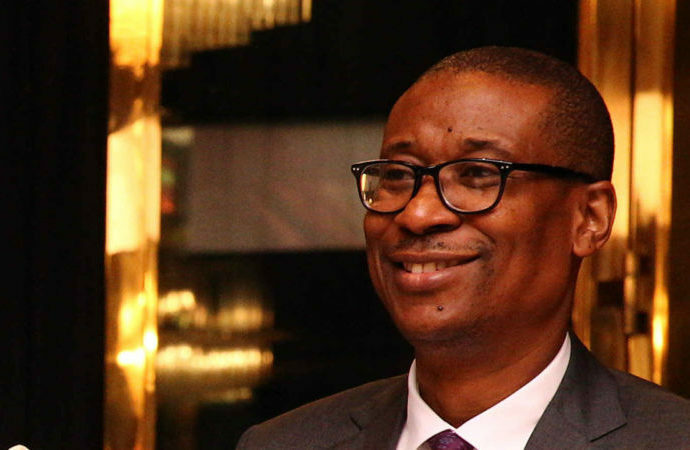 The Minister, Industry, Trade and Investment, Okechukwu Enelemah, agreed to power being a major drawback, but stated he is aware that the Ministry is trying to see if they can have a prototype distribution to every part of the country. The Minister who was represented by Dr. Francis Alaneme, an official of the Ministry, said as far as his Ministry is concerned, the government is doing well and from the government’s side, policies have been put in place to boost Industrialisation, while Infrastructure, innovation, and other challenges have been identified and is currently being worked onWofai Samuel mentioned again that, since manufacturing is a highly competitive and unpredictable market, do the standards of Nigeria’s manufactured items’ compete effectively with their global counterparts? Yes we produce, but how well patronised are our items by the international communities, how can we possibly improve upon our standards to measure up global competitiveness, she asked? President MAN, Dr. Frank Udemba, said you cannot be a member of MAN and produce sub -standard items, thus our products measure up to international standards, although this doesn’t exempt the fact that some unscrupulous elements exist in the market and sector . Director General MAN, Segun Ajayi disagreed, saying our standards measure up internationally, adding that it’s an attitude thing that Nigerians themselves are reluctant to patronise their own made in Nigeria products and there has to be a drastic change in that attitude. He further said, manufacturers have not taken advantage of the opportunities inherent in the African community and that the ECOWAS market is for us. If we can make proper use of it, it will help grow our economy. The Minister of Science and Technology who was represented by Dr. Zainab Hammanga said ”Wofai Samuel is a woman and i am happy about that. You, Wofai should start by wearing and patronizing made in Nigeria , you should represent at least 30 percent of Nigeria” in your outlook. The onus rest on us to make this work, it has to start from us, 30 percent of what I wear is made in Nigeria she added. RMRDC Director General, Dr. Hussaini Ibrahim, emphasized on what RMRDC has achieved over the years. Ibrahim who was represented by a Director, Dr. Moses Omojola, added that, we should be thankful for the resources we have. Nigeria has stopped importing tooth pick, also moved from net importers of cement in 2002 to net exporters in 2017. The official from Standard Organisation of Nigeria, SON said Nigerian cables are the best in West Africa. We can’t say we do not have sub-standard products in the market, but we have authorities in place to regulate all these, and ensure that all products conform to the best industrial standards and they do this, recognising international standards.